On average, travel is a company’s second largest expense. And due to the complex variables inherent in travel, costs can quickly escalate if you don’t have the right controls in place. 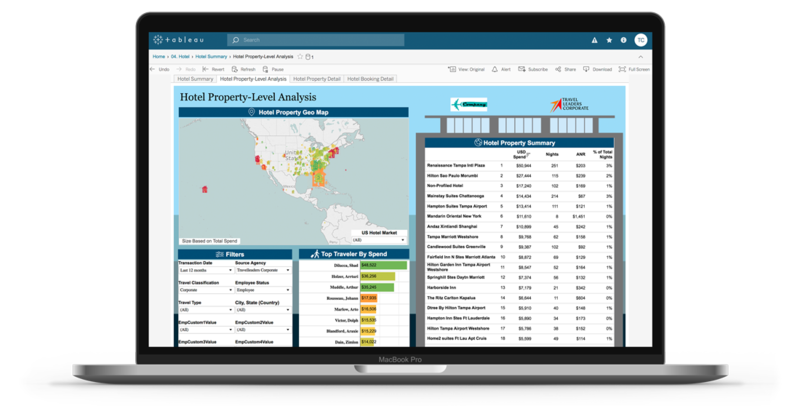 By analyzing travel spend, trends and traveler behavior, Business Travel Insights (BTI) increases transparency and identifies process inefficiencies, helping you achieve an ROI of 3:1 or higher with strategic application of our data insights. BTI consolidates disparate data from multiple sources into one user-friendly solution, yielding compound cost savings and large-scale insights previously unavailable. The result is a comprehensive, near 360-degree view of your travel spend, which helps you identify process inefficiencies and reduce travel expenses. 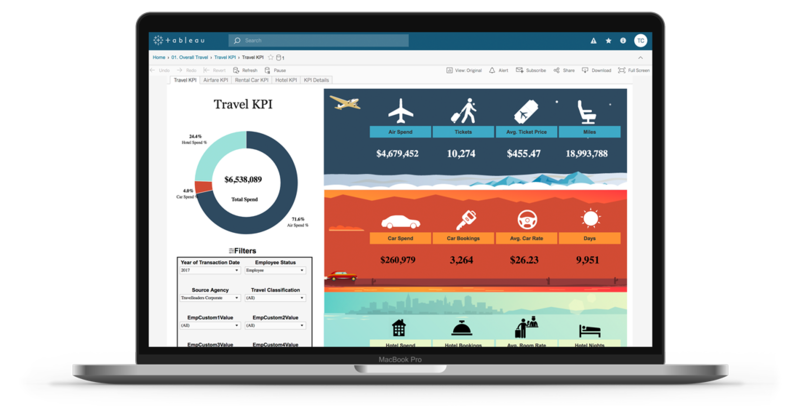 BTI creates data-driven dashboards centered on your company’s Air, Hotel, Car Rentals, Out-of-Program Expenses and Booking Behaviors. Custom filters on all dashboards allow you to zero in to see most pertinent information for your organization. The basic BTI package uses Agency Back Office data and your HR data to analyze overall travel spend. With this data, we create travel dashboards focused on airlines, hotels, car rentals, summary KPI dashboards for executive audiences, and behavioral dashboards that illustrate when and how travelers book. BTI Plus adds credit card data or Concur expense data to zero in on travel booked outside of your managed program. This comprehensive view helps your company reduce out-of-program spend to ensure you’re getting the lowest negotiated rate, reveals the true volume of business by vendor for better RFP leverage, and identifies out-of-program travelers not receiving duty-of-care benefits.